ZEPL announced yesterday $4.1 million in Series A funding and a fresh new brand. Formerly known as NFLabs, ZEPL is the company founded by the creators of Apache Zeppelin. With this new funding, the company plans to disrupt the enterprise analytics space. The round was led by Vertex Ventures, with participation from Translink Capital, Specialized Types and Big Basin Capital. With the funding, In Sik Rhee, General Partner at Vertex Ventures, joins the company’s board. “Our new brand identity, ZEPL – Zeppelin REPL – reflects our mission to provide an interface for modern day analytics workflows,” said Sejun Ra, co-founder and CEO at ZEPL. “For decades, enterprise analytics has been mired in silos – data silos, skill silos, team silos – that regardless of computational power, hindered speed and efficiency of analytics. And though recent advances in Hadoop, Spark and other compute frameworks alleviate some of the data silos issues, the myriad of choices further compounds the skill and team silos,” said Ra. The analytics space has become quite heated lately, with Tableau and Domo trading barbs. 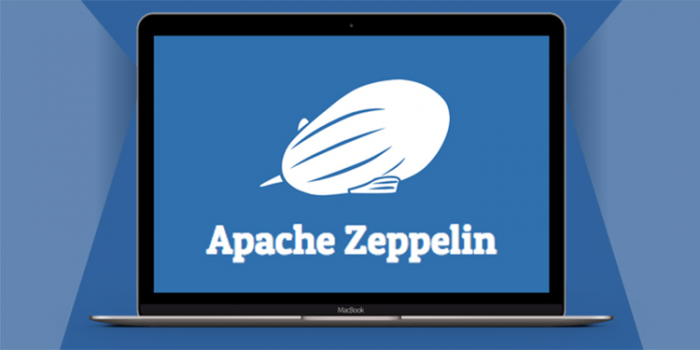 Apache Zeppelin aims to break down silos by providing a pluggable, open source solution. Data engineers, data scientists and business analysts can use and share the same interface to source, process and analyze all data types. Apache Zeppelin supports most modern day frameworks – from Spark, Cassandra, MongoDB, Elastic Search – and standard relational databases (Oracle, MySQL) with its JDBC interpreter. “We have been watching the organic growth of Zeppelin for some time,” said In Sik Rhee, General Partner at Vertex Ventures. “Enterprises have been clamoring for a way to seamlessly apply analytics across their organization. The team at ZEPL has a clear vision to drastically change the way companies leverage analytics to further their business goals..."
Apache Zeppelin looks to become the standard big data visualization interface to explore and conduct deep data analysis. It is integrated and available with Amazon AWS, Microsoft Azure and Google Dataproc, plus most of the major Hadoop distributions. Twitter is a marquis customer using the analytics technology for big data visualization, along with Disney, Netflix, Vanguard and others.